An interesting post comparing polynomial division methods on the More Than a Geek blog reminded me of my own experience teaching completing the sqaure. There were times in my career where I absolutely dreaded teaching this method, and tried my best to dance around it. Now, my attitudes have changed, as mastering this method and looking at it in different ways provides so many interesting avenues for analyzing a quadratic function. 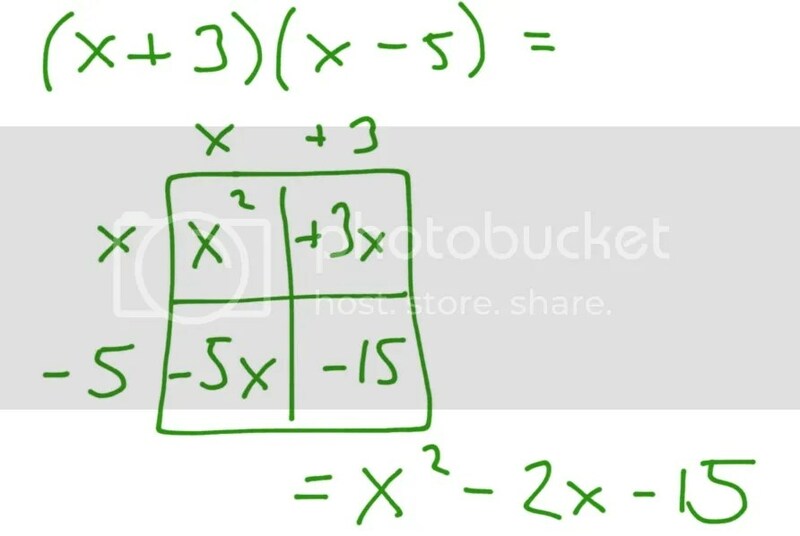 The post asks if the “box” method for teaching muliplication of binomials could be extended to completing the square, and I am happy to report that it can! 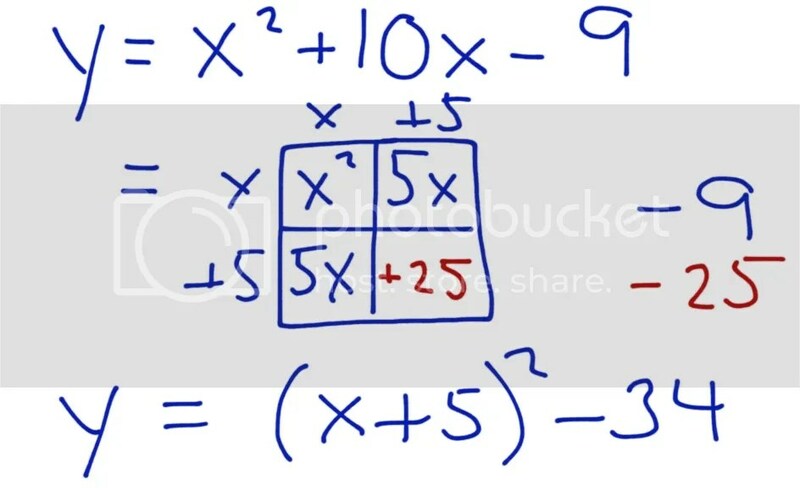 In fact, using binomial boxes may reach more visual learners and let them complete a square in a more literal sense. STEP 3: Now, quite literally, we need to complete the square by filling in the last box. Also, since we add 25 to right side, we must also subtract 25 from the same side. STEP 4: A little housecleaning, and we have our quadratic in vertex form. Finally, enjoy a quick video where I walk through the box method, with a few stickier examples.